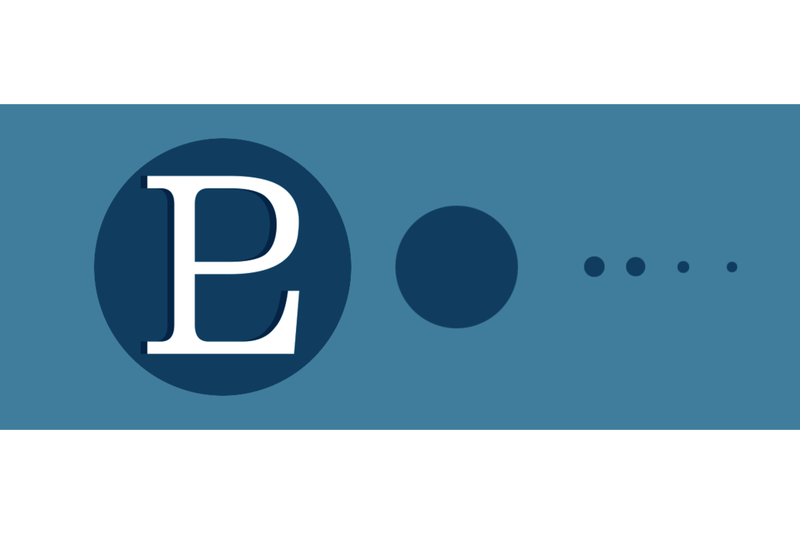 Pluto’s astronomical symbol: a monogram for PL, standing for PLuto and for astronomer Percival Lowell who first found compelling evidence of its existence. The Lowell Observatory proposed the symbol and name on May 1, 1930. As text, the symbol raises difficulties for flag designers, because its reverse is illegible. 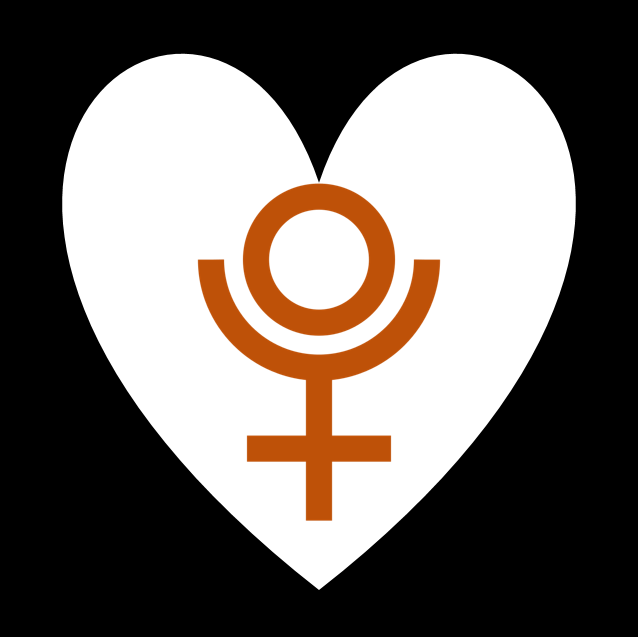 The astrological symbol for Pluto: the symbol for Mercury, with arc and circle exchanged. 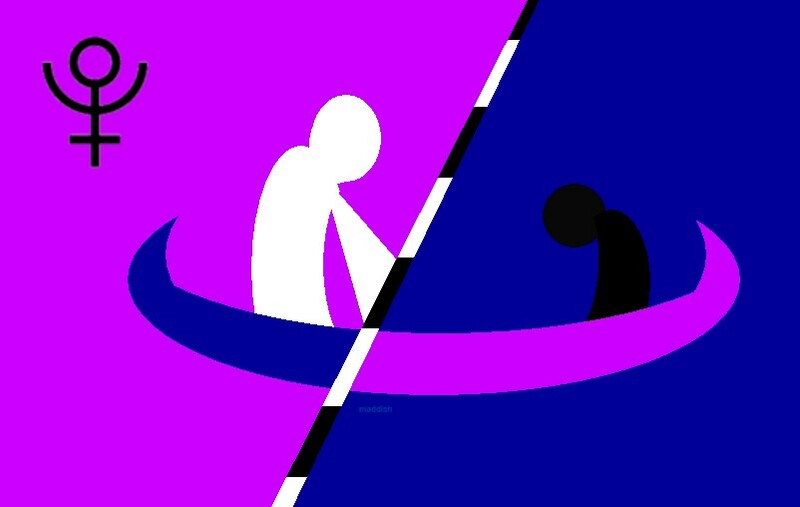 It can be interpreted as “mind (crescent) transcending matter (cross) to reach for divine spirit (circle)“. Vertically symmetric, it’s a flag-friendly (if not science-friendly) symbol. A flag for Pluto, and Plutophiles. Design by Scott Mainwaring, 14 July 2015. 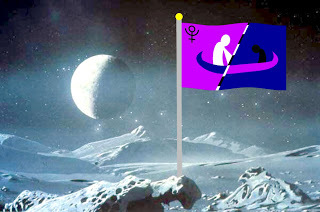 The design Pluto and Plutophiles by SDM would make a great flag.